all R&D professionals and students who are involved with industrial informatics, that is, applying the methodologies of computer science and engineering to business or industry information. 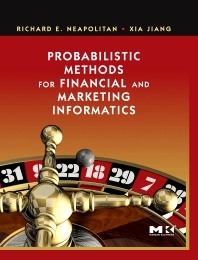 This includes Computer Science and other professionals in the data management and data mining field whose interests are business and marketing information in general, and who want to apply AI and probabilistic methods to their problems--in order to better predict how well a product or service will do in a particular market, for instance. Typical fields where this technology is used is in advertising, venture capital decision making, operational risk measurement in any industry, credit scoring, and investment science.